Adept PDF to Word Converter is a converter software that can convert Adobe PDF file into Microsoft Word file format without loss its information and quality. Instead of convert files, the program also can exports the text, images, or other contents from PDF file into MS Word file for edit and reuse PDF content. 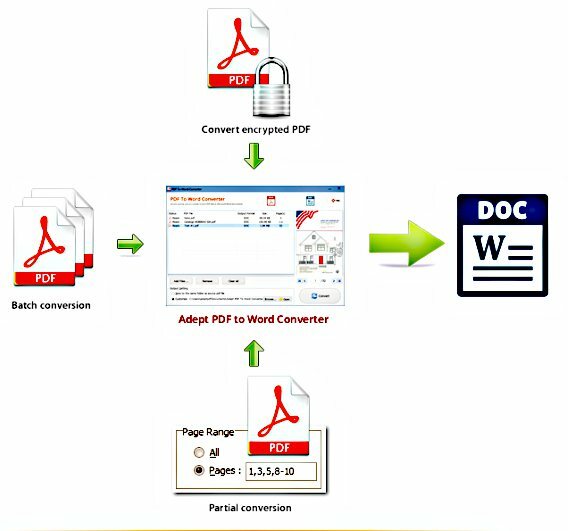 In addition, Adept PDF to Word converter also able to automatically adjust the page size to match with MS Word file format. With Adept PDF to Word Converter, user does not need Microsoft Word, Adobe Acrobat, or even Acrobat Reader for read or edit files. Adept PDF to Word converter comes with two features modes – Easy Reading and Easy Editing. Easy Reading mode is focus for read, while Easy Editing mode focus for edit, copy, paste, and etc. For Office users, one of the changes for new Office 2016 is the annoying start screen every time when you open it. The screen will displays a variety of templates and a list of your recently opened documents for your quick access. If you would rather by pass this start screen and directly open a new and blank document, follow the steps below to disable the start screen. This method is workable to apply it on Word, Excel, PowerPoint, Visio and Project. 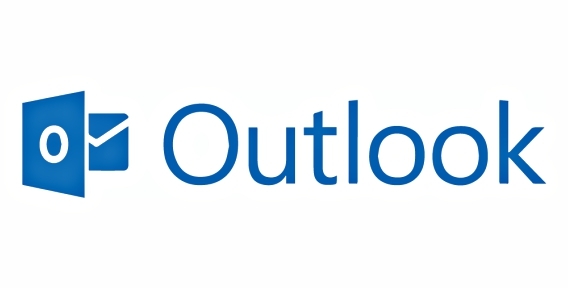 Many people use Microsoft Outlook every day, whether it’s to create a calendar appointment, manage task, note taking, or just as email application. Wouldn’t it be great if there were keyboard shortcuts for Microsoft Outlook that could help to speed up your daily works. 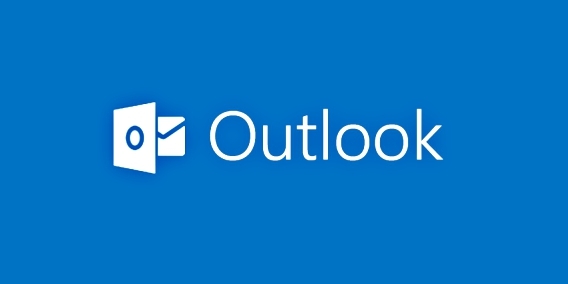 Here we’ve put together full list of 275 keyboard shortcuts for Microsoft Outlook. These keyboard shortcuts tricks will help you save time, increase productivity, gains efficiency, so you can focus on the stuff that really matters. Below is a list of all the shortcut keys in Microsoft Outlook. 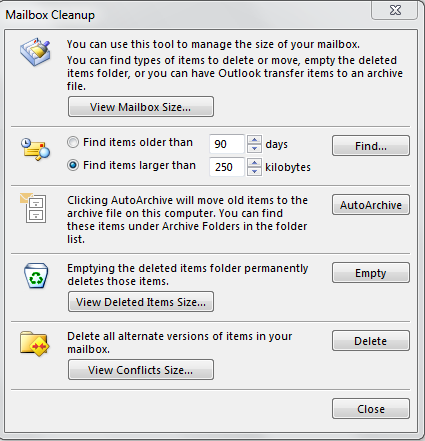 Microsoft Outlook data files will grow fast especially when you create or receive a bunch of items every working days. You will noticed the size of your pst-file remained same and not reduced accordingly after cleaned up and emptied the deleted items folder. For performance reasons, Outlook doesn’t directly shrink the pst-file or ost-file when you done the deleting action. Instead, it will only do this when a certain threshold is reached. However, you can manually initiate the compact process via few simple steps of “Compact Now”. AutoArchive able to help you transfer or move old items to the archive file on your computer to reduce the space. You can find the archived items under Archive Folders in the folder list. Simply click on the Empty tab to empty your Deleted Items folder. Once you’ve deleted items you don’t want and emptied the Deleted Items folder. 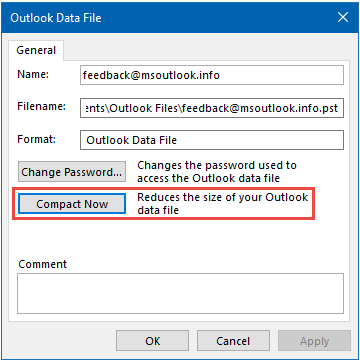 You may start compact your Outlook data file. You will see Account Settings on your backstage screen, and then click Account Settings. You do not need to exit the Outlook after you done the compacting step. 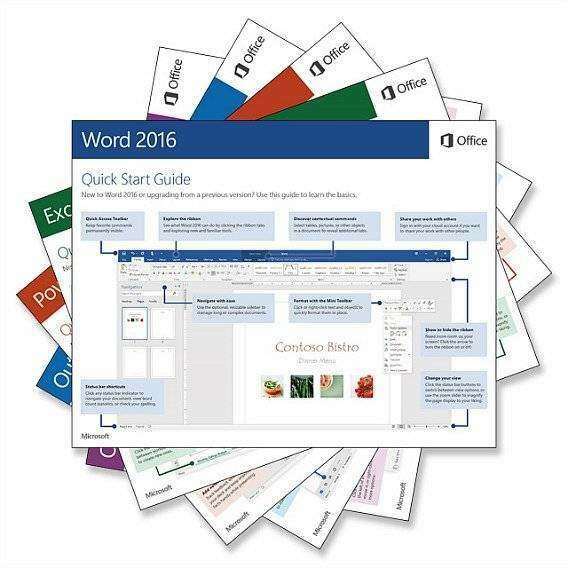 A new update for Microsoft Office 2016 is rolling out to Insiders. 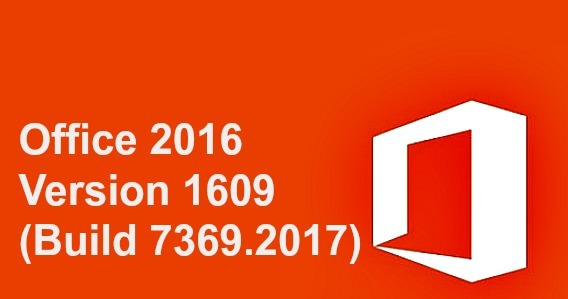 The latest July feature update on Windows Desktop brings the Office 2016 to build 16.0.7167.2015. 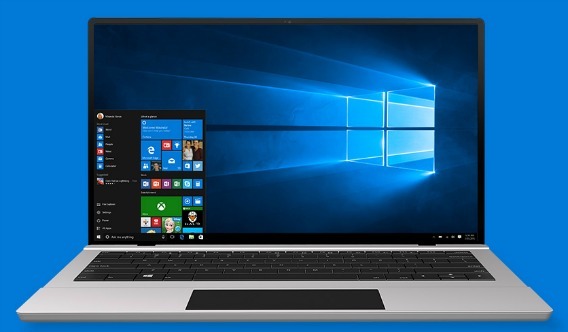 Build 16.0.7167.2015 brings several new features, here what’s new features in July feature update.